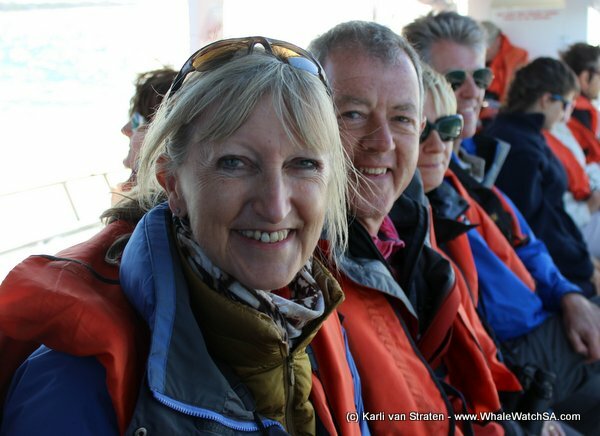 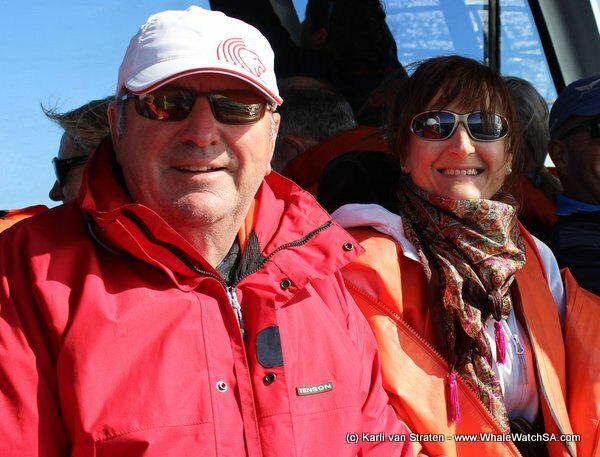 The day did start calm but the wind speed picked up soon, but also the whales activity. 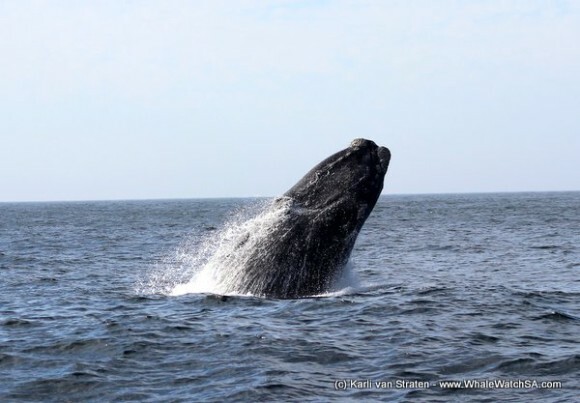 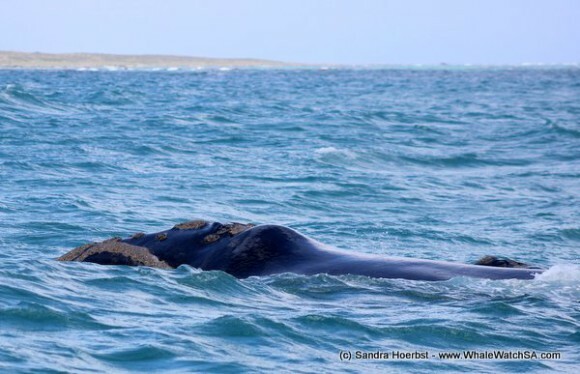 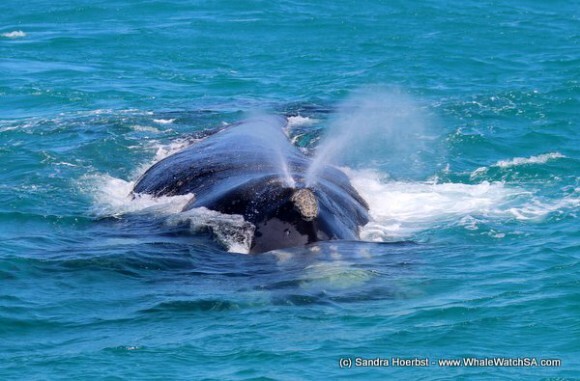 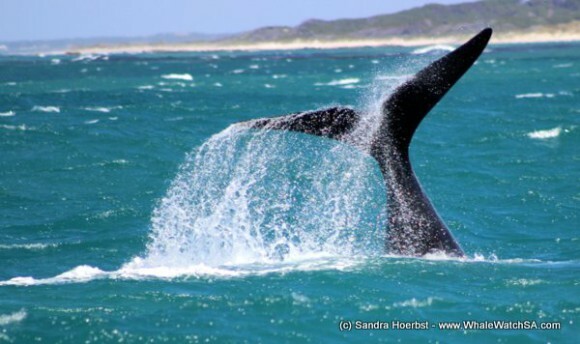 As soon the wind was blowing a bit stronger the whales in the Pearly Beach area were getting more active. 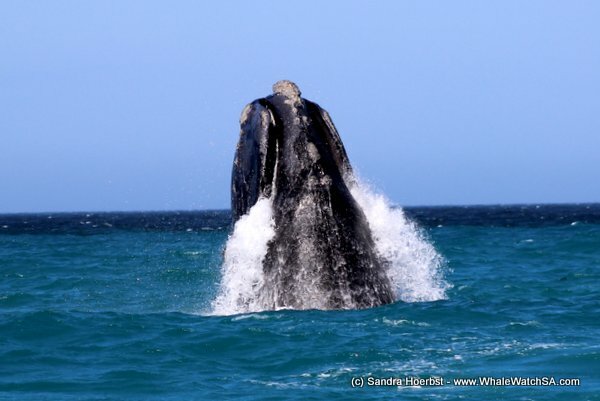 We observed a mother teaching her calf how to breach, that was so interesting. 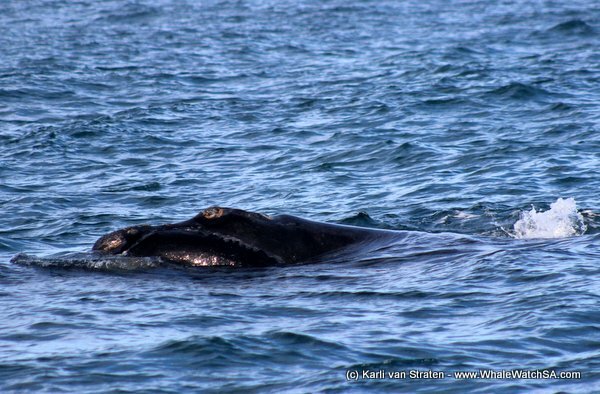 The little calf was lob tailing for a while and also a Humpback dolphin was interested in our vessel and had a closer look. 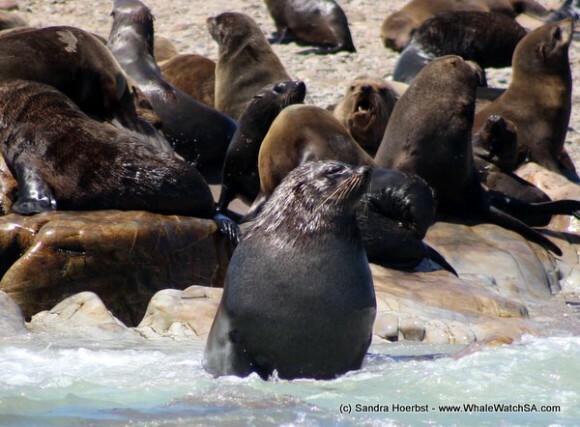 On Geyser Rock we spotted the first few pups for this season between the adult Cape Fur seals. 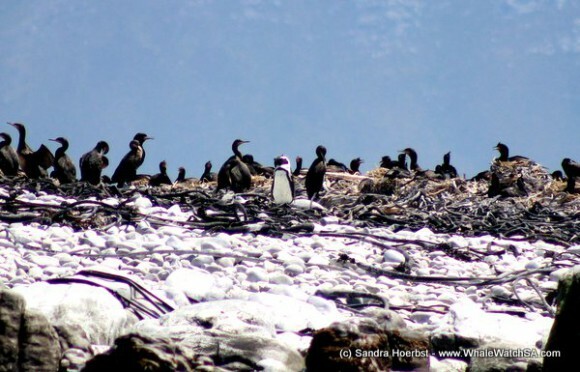 On Dyer Island we spotted a single African penguin between the Cape cormorants and a few more sitting on some rocks. 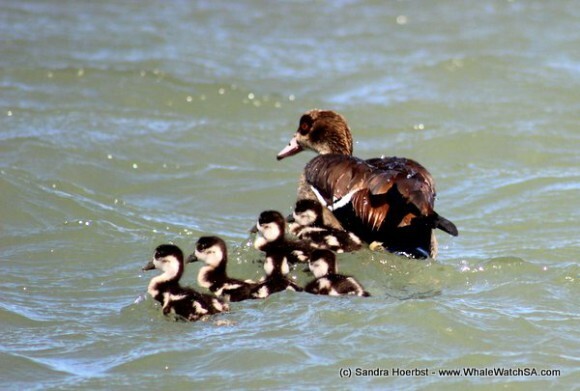 On our last trip a little duck family crossed our way while we were launching Whale Whisperer from the Kleinbaai harbour. Great day!